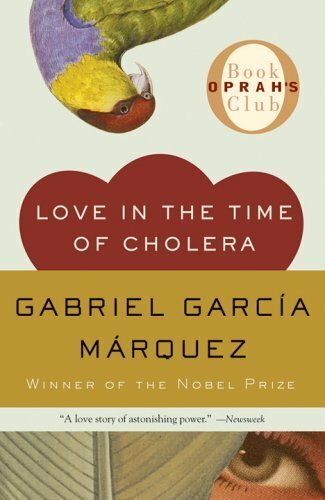 Marquez’s Love in the Time of Cholera is the story of Florentino Ariza, a poetic, solemn young man bedazzled by the charms and beauty of the well-connected Fermina Daza. After months in their youth of exchanging hundreds of love letters back and forth, Fermina rejects Florentino after the proposal of the wealthy Dr. Urbino; once engaged, she cuts off all ties with the devastated young Florentino. But Florentino does not give up so easily–he vowed to love her forever, and forever he will; he continues to reserve his heart for her and her alone, despite having 622 “affairs” while he is waiting for the moment when he will be able to confess his undying love to her once again…fifty-one years, nine months, and four days after the fact. The one saving grace for the book was in the stunning, detailed descriptions and thought-provoking rare gems scattered throughout, such as this favorite quote: “He allowed himself to be swayed by his conviction that human beings are not born once and for all on the day their mothers give birth to them, but that life obliges them over and over again to give birth to themselves.” And how! Next ArticleThe “Change It Up” Challenge!